Home→B♥ Kind® Tips→What About Short Term Residents? ← Stop. Look. Listen. Are Your Food Servers Up to Higher Standards? 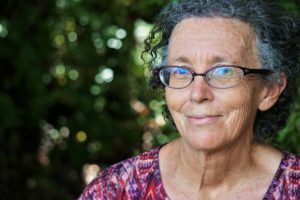 Rebecca thinks back to ten years ago when she suffered a stroke at 52 years of age and wound up in a short term Rehab facility. In the beginning meals were brought to her room. There was a noticeable difference in the attitude of who delivered her meals. One gal plopped her meal down with a “Here’s your lunch Dearie” and hurried out of the room to get the rest of her job done. Rebecca became furious and grossly disappointed when the sugar was missing for her coffee. By the time the tray was picked up, her coffee was too cold to enjoy now that she could ask for the missing sugar. Annoyance set in when the food server remarked gruffly that she should have asked for it earlier. Well the mind doesn’t think as fast when you’re having difficulty just getting through the day filled with therapy and learning to live in a new way. The CNA she remembered most fondly also brought her meals, wearing a pleasant smile, sharing an uplifting comment and asked if there was anything else needed. After she delivered another meal or two, she poked her head back into the room for just a second, to ask again, “Did you get everything you needed?” Thinking ahead, she carried extra condiments with her for such occasions when the resident needed them while the food was still hot and items had been left off the tray. Taking the time to know the resident she was serving, the CNA also informed Rebecca that she could order a rocker knife that would make cutting her food much easier. This was a small item that made a tremendous difference at mealtime and no one had told her that such an item existed. Before her stroke Rebecca taught Occupational Therapy to college students. The stroke taught her that much helpful information was missing from the material she taught and made note of it even though she was not capable of teaching at her college again. Arriving home, she wrote and published a book that would be informative to the patient and even more importantly to show the family their role in recovery. She also noted the difference of attitude in the food servers and how it affected her. She wrote letters on her computer thanking each individual at the Rehab facility who extended kindness and help to her explaining exactly how they impressed her. She wrote a letter of commendation about each of the staff including the food servers who had performed above average service. When attitude is changed from just doing your job to get through the day, to loving what you do at work by using kindness and thoughtfulness that improves a resident’s stay, improves your life. Kind Dining® benefits everyone who learns it. Our B♥ Kind® Tip: Practice showing extra courtesy today.